The Reading Post | Calling all Artists! It’s time to Paint the Town! 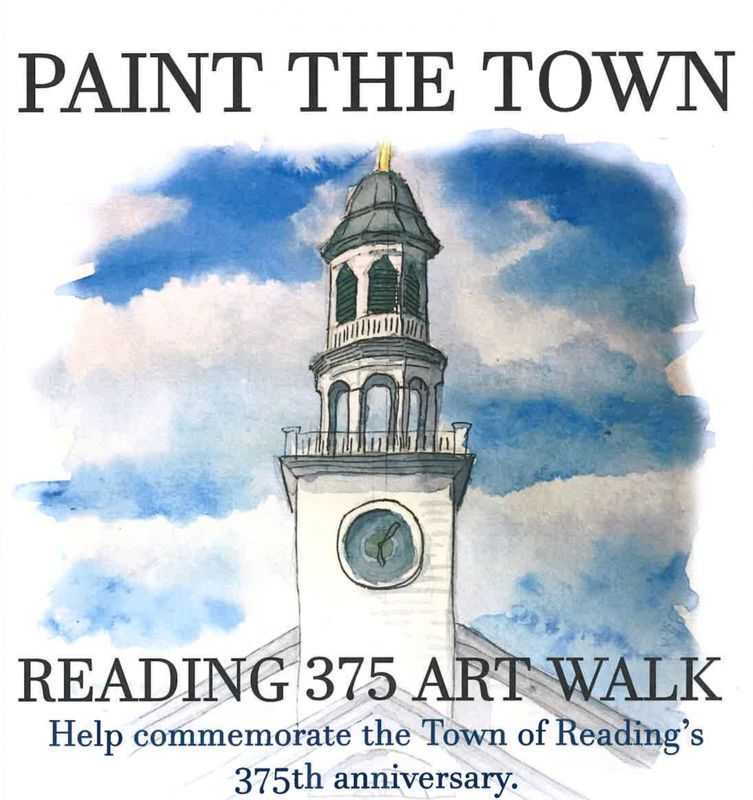 As part of the Reading 375 Anniversary Celebrations this spring, local artists, from grade 6 through adult, are invited to submit an original two-dimensional work of art that illustrates the life and times of our vibrant, historic town. The art can depict anything that captures the essence of Reading from the past or present. So sharpen those pencils, and brush off those paint brushes. This is a wonderful opportunity for local students and adults to display their art publicly while celebrating Reading’s 375th anniversary. Paint the Town Artwork will be displayed around town at various venues from May 31 – June 15 as part of the Reading 375 celebrations. An opening reception will be held Wednesday, June 5 at the Pleasant Street Center. For full details on submitting a work of art, and a registration form, see reading375.com, and click on “Paint the Town.” A photograph of your artwork with dimensions, title, and time period must be submitted by email to reading375paintthetown@gmail.com by May 1. About Reading 375: Reading 375 is a non-profit, volunteer-driven organization whose goal is to bring our community together to celebrate Reading’s 375th anniversary in 2019. Events will occur over a two-week period, from May 31 – June 15, and will include local artists and musicians, architecture unique to Reading, and fun community gatherings. The Reading 375 Steering Committee hopes to create a town-wide celebration of Reading’s rich history and exciting future. Commemorative anniversary t-shirts are available at Reading Trophy and Shirt and RCTV Studios. Limited edition Reading 375 pins are available at Whitelam Books, Reading Cooperative Bank, and RCTV Studios for $3.75. To learn more and stay informed, like and follow Reading 375 on Facebook (https://www.facebook.com/reading375/) and check out our website at reading375.com.